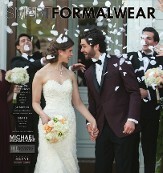 All of the tuxedos and suits featured in our catalogs are available for rental or purchase. Looking for a Navy Blue Tuxedo? White Tie & Tails? Black Tux with a colored vest & tie? Looking for a Grey tuxedo? White tuxedo? Brown tuxedo? Looking for Morning Attire? We've carry them all. Looking for something you don't see here? 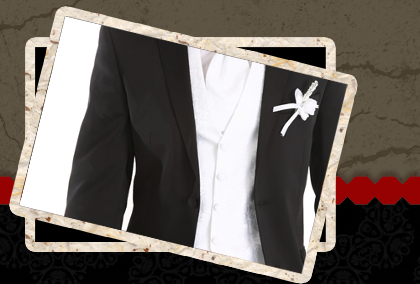 Contact us, we have a wide variety of outlets for discontinued tuxedos for purchase.